→Can You Make Money with Shutterstock? Read This Before Trying! Can You Make Money with Shutterstock? Read This Before Trying! I just created an updated Shutterstock review to my YouTube channel. In the video, I walk you through the BEST 4-step process how you can make a good income online as a photographer. Follow my ultimate make money online guide to learn more and start earning money. If you have any questions, don't hesitate to ask me in the comments and I will be more than happy to help you out. I've so far helped +3,000 individuals to get started making money online and I would be glad to help you as well. If you are looking for answers to questions like, “How to Make Money with Shutterstock?” “Can you make money on Shutterstock?” you have come to the right place. In this article, I am going to talk you about making money with Shutterstock and earning money online in general. Without further ado, let’s get going! Shutterstock is a photo bank with more than 187 million photos. Short Review: It’s possible to make some money with Shutterstock but most photographers earn close to nothing. Unless you are a professional photographer with years of experience, you won’t get rich with Shutterstock. Many markets on Shutterstock are already very saturated because there are thousands of high-quality pictures. If you are looking for a better way to earn money online, I recommend taking a look at my #1 recommendation. Shutterstock is one of the biggest photo banks in the world. Photographers can upload their pictures to Shutterstock while companies and individuals who need them, can buy the pictures. Many photographers are looking for an opportunity to make money by uploading pictures to their photo bank. In this article, I am going to explain you 2 benefits of doing that but also 3 challenges. In the end, I’ll explain alternative strategy how you can make money online as a photographer. Making money with Shutterstock has certainly some benefits. Let me list them for you. 1.You can do what you are passionate about. I know that thousands of people who want to make money with Shutterstock (and other photo banks) are passionate about photographing. Well, now you have an opportunity to get paid for doing that. Who wouldn’t like getting paid for what you love, right? At least I personally believe that we find the best results in life when we are doing things that we enjoy doing. 2.You can earn passive income. Passive income is the money that you will earn even while you are not working. In my opinion, that’s the best form of income. Once you have done the work the money keeps on coming to your account even while you are laying on the beach. That’s why I like building various passive income streams. With Shutterstock, you have an opportunity to earn passive income. 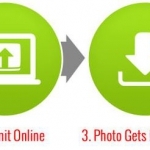 Once you have uploaded the pictures to the photo bank and done the work you can make money even while sleeping. 4 simple steps to make money with stock photos. However, it’s anything but easy. There are many benefits of making money with Shutterstock but now I also want to discuss a few challenges. “Just take your camera, grab a few pictures, upload them to Shutterstock and become rich.” That story doesn’t really work anymore (to be honest, I’m not sure whether it has worked even before). Shutterstock has founded already 15 years ago back in 2003. Now it’s an enormous photo bank with millions of high-quality pictures. In the other words, there are millions of pictures competing with you in the marketplace. People are making money there. You need to be exceptionally good and hard-working to make good money. When you make money with Shutterstock, you are highly dependent on their rules and policies. Let’s say that you spend a few years for building your Shutterstock portfolio and income stream. Then Shutterstock suddenly changes their rules in a way it affects your rankings and sales. It can take down a whole business. Of course, you can diversify your risk by concentrating on several photo banks at the same time. Anyway, this is still an issue that you need to take into account. If you make money with Shutterstock, you are dependent on their rules. If Shutterstock changes their rules significantly, you may lose your source of income. Usually, creating passive income streams takes time. That’s also the case with Shutterstock. You won’t be making $1,000’s during the first weeks, months or perhaps even years unless you are exceptionally good. My friend used Shutterstock for half a year and made $20. If I watch his pictures, they are professional quality. He has done photographing for over 10 years. On the other hand, we can always say that he would have made much more money if he would have put more effort or if he would have better equipment. Anyway, the bottom line is that making money with Shutterstock doesn’t usually happen easily. 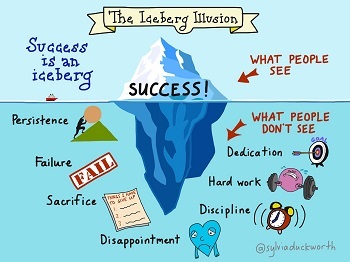 “We see their glory but don’t understand the story.” Making money with Shutterstock requires lots of hard work. Let’s say that you start uploading pictures to Shutterstock. You make your best and use hundreds of hours to create high-quality pictures. You check your earnings on Shutterstock regularly and nothing moves. $0,00 shows up in the balance. Maybe a $1,00 sale here and there. A year passes and you have earned close to nothing. What if you would have spent those hundreds of creative hours doing something more profitable? The challenge with Shutterstock is that the market in many areas is so saturated and the competition is tough. That’s why many people fail to earn any money and they end up wasting endless hours while uploading their videos. Somebody may argue that there are no guarantees to succeed in any business. However, I believe that success leaves clues. The old wisdom says, “If you do what other successful people do, you will eventually get the same results that they do. I have seen over and over again that the people who follow the Wealthy Affiliate training, succeed to make money online. The principles and steps they teach have also worked in my own life. Therefore, in my opinion, it’s more guaranteed way to make money online than uploading pictures to Shutterstock. Conclusion – Is Shutterstock Worth It? Yes and no. If you enjoy photographing and uploading pictures to the Internet, there’s nothing wrong with it. However, if you wish to make big money, I think you should start doing something else. There are several ways to make money online but my #1 recommendation, especially for beginners, is Wealthy Affiliate. It’s a step-by-step training and a community that will help you hand in hand for making a living on the Internet. I can confidently say that the Wealthy Affiliate training and community has changed my own life. 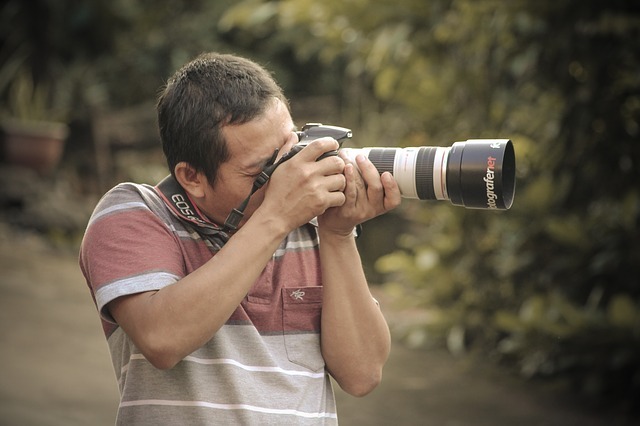 There are many ways to earn money online as a photographer. Let me explain a simple 3 step process how you could be making money online as a photographer. If photographing is your passion, I have a good idea how you can make money online. Let me explain you the 4-step formula that I would suggest. And by the way, I have seen numerous websites that make money by following exactly this formula. You don’t need any programming or technical experience to do that. I thought before that creating websites is only for super-humans until I realized that there are simple tools that anyone can use to build a basic website easily. So, the subject of your website would be related to photographing. Let me give you just an example. Let’s say that on the website you give other people recommendations and tips on photographing. That’s just an idea and you can, of course, choose any other subject as well. Then you recommend some great photographing related products while you are giving information to your audience. Remember that you don’t need to be the best in the world. If you are reading this article, I bet that you know more about photographing than I do. Therefore, people like me would find your content very helpful. When you give product recommendations, you can link them to e-commerce stores like Amazon and other ones. When people click your link and buy something on Amazon, you earn a commission. If they click your link and buy the camera, you earn a commission. But even though they would buy something completely different, you will still earn commissions. Even though somebody would buy men’s boxers, laptops or literally anything through your links, you make money. That’s the beauty of affiliate marketing. With affiliate marketing you will also earn passive income which means that you earn money even while you are not actively working. You can sleep, lay on the beach, take pictures with your friends, exercise at the gym and you may be earning passive income at the same time. Of course, it requires that you have done the work beforehand. But sometimes with affiliate marketing, you earn money still even 10 years after you’ve done the work. 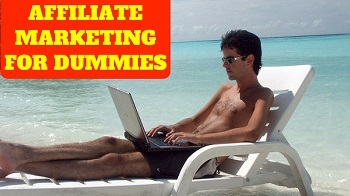 Click the picture to learn more about affiliate marketing. How to Learn More About This? This was just a short example how you will make money online. I can recommend you a step-by-step training that will walk you through all the details that you need to know in order to make money by using the exact strategy that I just explained to you. I didn’t know anything about making money with affiliate marketing before I started that training. It was and it is still completely free to get started. There are also premium features and tools that cost money but getting started is free. I pay for the premium features because they generate me much more money than I pay for them and that’s why I can recommend them for you as well. Anyway, I don’t want to hold you too long. You can get started by clicking the picture below. I will send you a personal message inside the Wealthy Affiliate community. See you inside! What do you think about making money with Shutterstock? What kind of results have you got? Are you interested in other ways to make money online? If you have any questions about the article or making money online, in general, feel free to ask below and I’ll be more than happy to help you out.